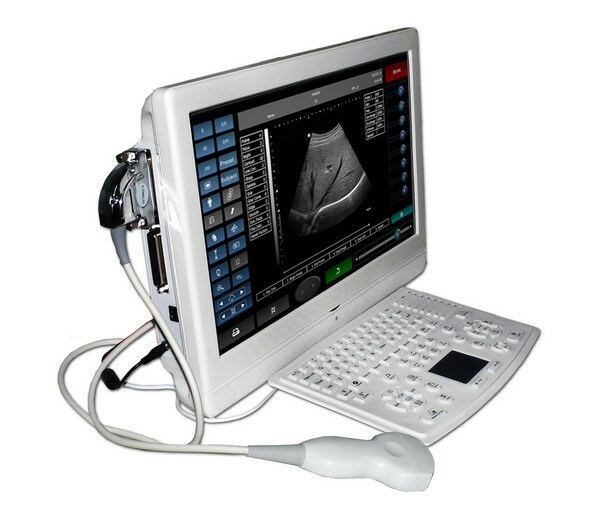 V8(UTouch-8) is first ultrasound scanner that with large and touch screen, it is popular for its pretty appearance, powerful functions, and easy to operation. 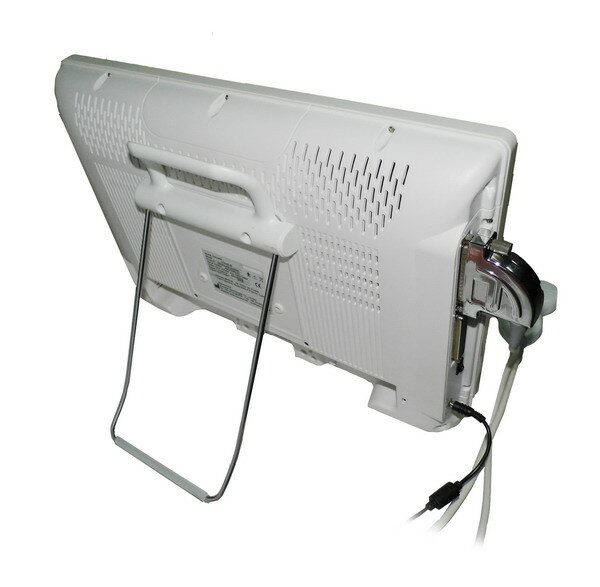 Its structure also is special, can put on desk, also can wall hanging, and install on a trolley with rocker arm. ・Multiple language: English, French, German, Spanish, Russian, Italian, Portuguese, etc. -Zoom: 10 ratio: 1.5, 2.0, 2.5, 3.0, 3.5, 4.0, 4.5, 5.0, 5.5, 6.0. -Dynamic range: Continuous adjustable: 30~120dB, 16 levels in all. 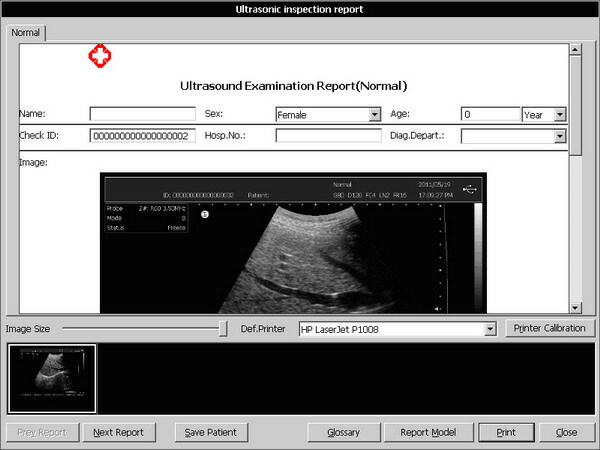 -Image processing: Pre-processing, after-processing, dynamic range, frame rate, line average, edge; enhancement, Black/White inversion; Gray scale adjustment, contrast, brightness, γ revision. -Gain: gain: adjustable between 0-100dB; Time gain control(TGC): 8 segment adjustment, B, M adjustment separately. -Storage: Image storage, cine loop storage, measurement result and report can be stored, storage capacity 4G. 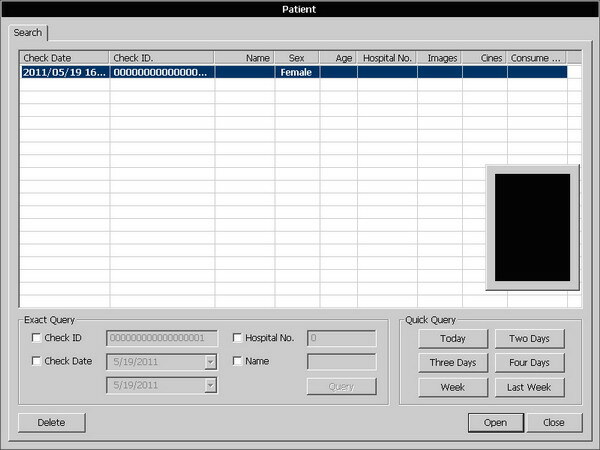 -Patient information management: Diagnosis case management, report print, comment library, image output(USB), import data. 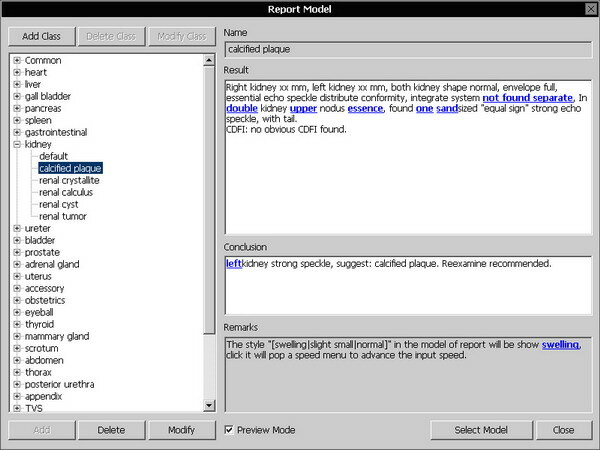 -Marks: Comment, body mark(140 kinds for different parts’ option), arrow. 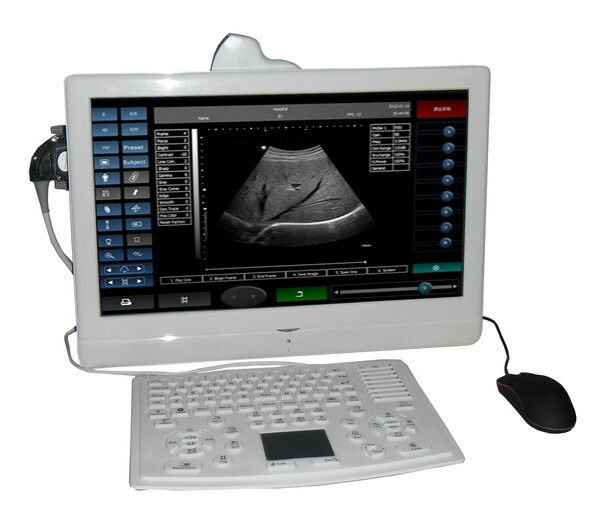 -DICOM Real-time Ethernet transmission: This option allows real-time transmission by Ethernet. 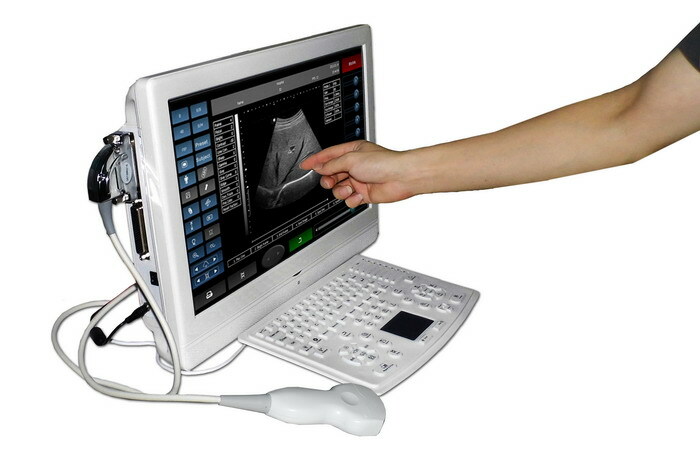 Ethernet-capable allows local and internet ultrasound data transmission. 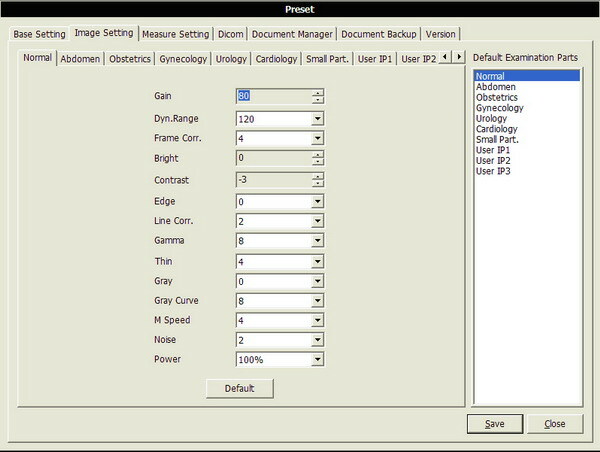 -System preset: System preset includes parameter presets of abdominal , GYN, OB ，vascular, cardiac, small organs, andrology, urology, comments, manufacture default settings, system upgrade and maintenance settings.